As usual, they’ve had entirely too much fun down in the Big Easy last month. The 33rd annual French Quarter Festival drew more than 760,000 attendees to the Vieux Carre April 7 through 10, according to French Quarter Festivals, Inc._ The record-breaking numbers mark a significant increase over 2015 when several days of rain reduced attendance to 386,000. 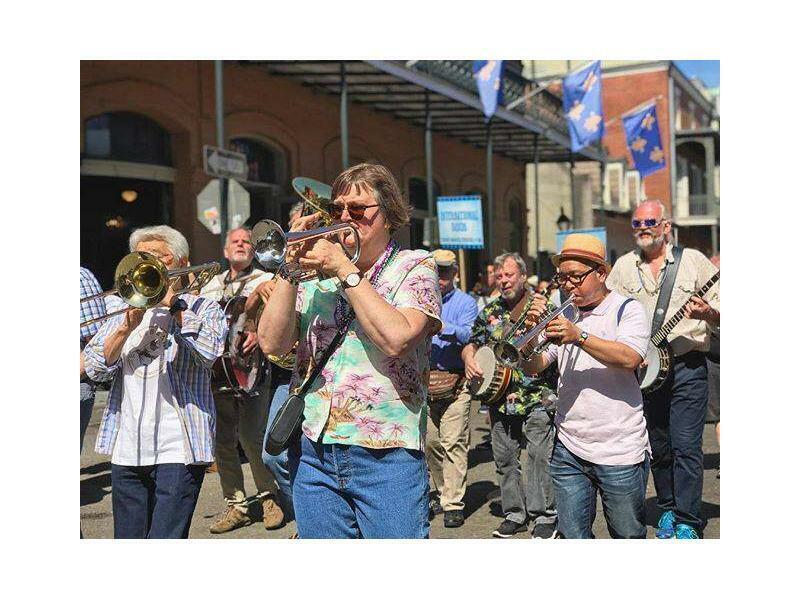 “The 2016 French Quarter Festival presented by Chevron was one for the record books,” said Executive Director Marci Schramm. “We had_amazing crowds, including so many locals and families; perfect weather; the best music and food in the world – everyone came out and just had a really good time! Our French Quarter neighborhood Festival vendors also reported increases. Rouses had record sales at French Quarter Festival 2016, selling over 50,000 pounds of boiled crawfish._ Beverage sales were also up: Abita served 675 kegs and 1,400 cases of beer, New Orleans Original Daiquiris sold more than 42,000 daiquiris, and 690 gallons of Lynchburg Lemonade and Herradura Margaritas were enjoyed by French Quarter Festival fans. Over 128 tons of icewere used in festival beverages including Pat O’Brien’s, Tropical Isle, Abita, Jack Daniel’s, Plum Street SnoBalls. Haydel’s Bakery used more than 200 pounds of white chocolate in their White Chocolate King Cake Bread Pudding. The 2016 French Quarter Festival featured iPhone and Android phone apps, created by festival sponsor GE Digital,_which were available free of charge._ This year saw an increase in the number of users, bringing the total to over 70,000 App fans since its 2010 inception. In partnership with New Orleans Tourism Marketing Corporation and Solomon Group, the Festival launched a Social Media Lounge_to provide new ways for fans to engage with the event. Oh yeah, there was plenty of great Crescent City music, too. Performers included Meschiya Lake and the Little Big Horns, Wendell Brunious, Carl LeBlanc, Big Chief Bo Dollis Jr. & the Wild Magnolias, John Rankin, the Original Tuxedo Jazz Band. A portion of the proceeds will benefit the Roots of Music and Jackson Square improvements and beautification.